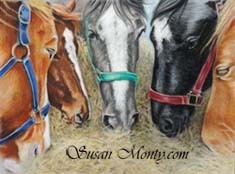 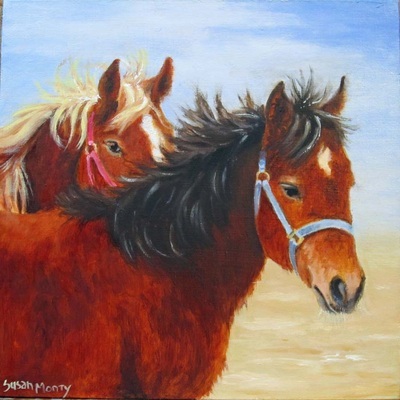 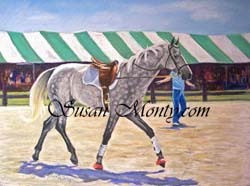 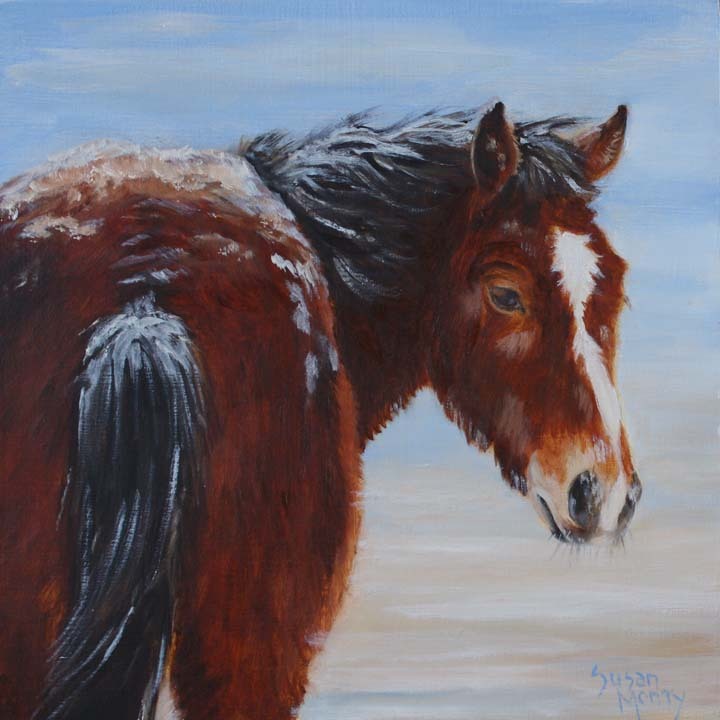 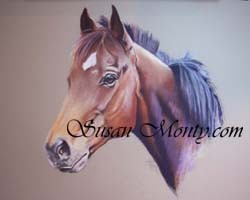 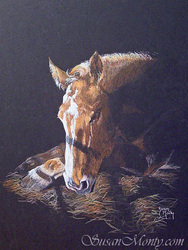 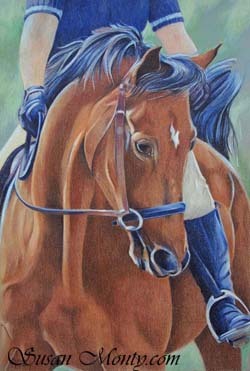 Second Chances is Susan’s new series of paintings honoring rescued horses and the people who help save them. Recently, Susan became involved in equine rescue and recognized the opportunity to help these wonderful horses with her art. 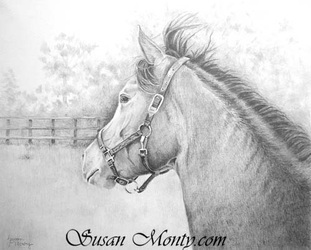 In this new series Susan tells the stories and shows the dignity and beauty of horses that have been used up, abused, and thrown away to face slaughter. "Some of them are race horses, some of them are work horses, and some have been on journeys that we can’t even imagine," Susan notes. 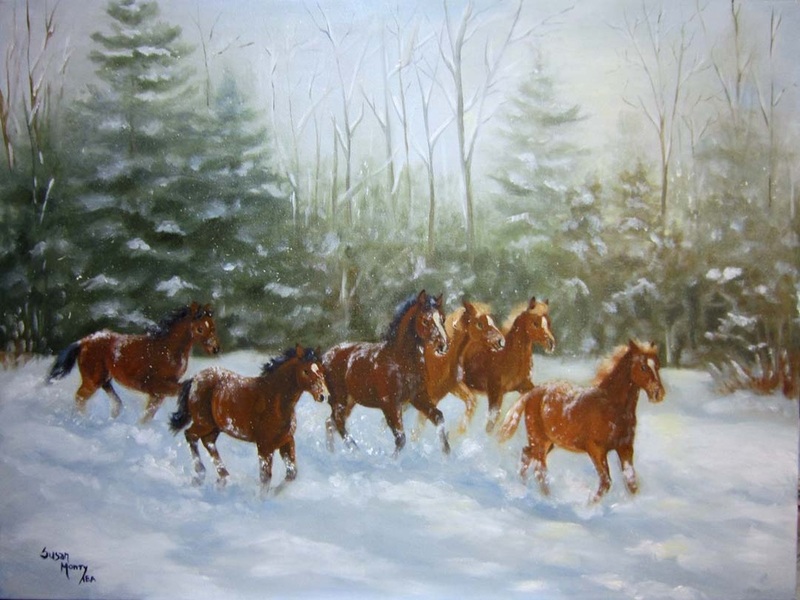 "Most of the time, all these horses have to depend on is the kindness of rescuers." 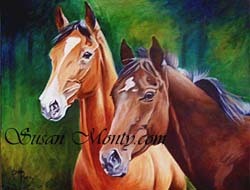 A portion of all sales of the portraits in this series will be donated to rescue organizations. 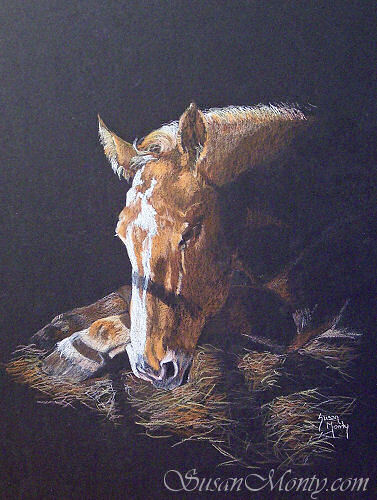 Currently, Susan is working with Pure Thoughts Horse and Foal Rescue in Florida (www.pthr.org), New England Equine Rescues (www.newenglandequinerescues.com), Journey's End Ranch Animal Sanctuary in Arizona (jersanctuary.org) and Live and Let Live Farm in New Hampshire (www.liveandletlivefarm.org). 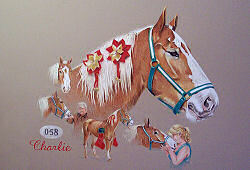 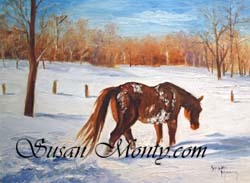 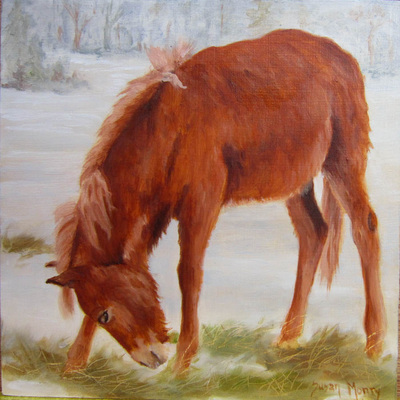 The first paintings in this series show horses that were saved by Pure Thoughts in November 2007 during the Home for the Holidays rescue. 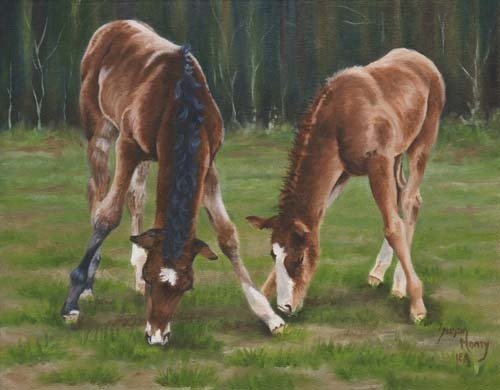 Through donations from a network of supporters, Pure Thoughts was able to outbid kill buyers for 82 horses at the Sugar Creek auction in Ohio. Sadly, because of sickness or injury some of these horses had to be humanely euthanized after knowing only a brief period of love and care (see "Remembering Triumph"). 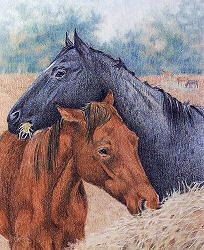 However, many have had happy endings after finding their "forever homes"; many are still waiting to be adopted. 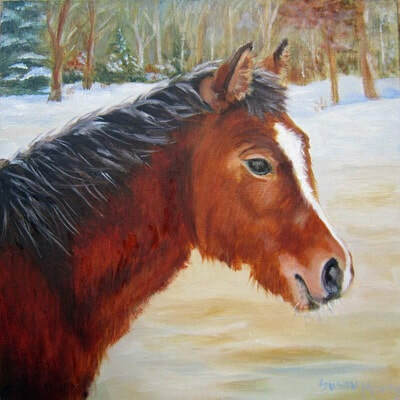 Susan is currently the guardian angel for Diva, one of the Pure Thoughts Home for the Holidays horses, and an angel for Noir, a horse rescued from auction by New England Equine Rescues. 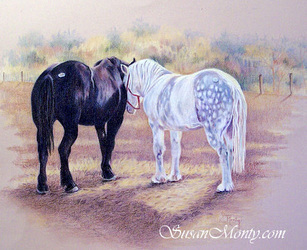 "The value of the Second Chances series is that it tells stories that might otherwise be forgotten," Susan says. 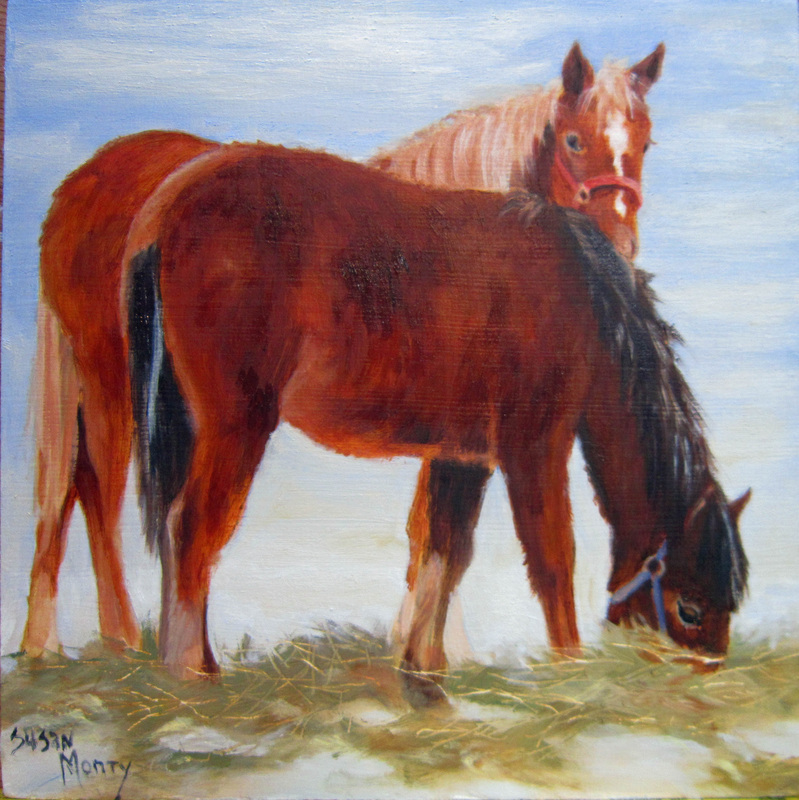 "These horses deserve another chance at comfort and love, and I will continue to work with rescue groups and use my art to help."